My name is Ingvild Lande Sørensen and I am happy to say that I will be the first internship student at SIOS Knowledge Centre. I am enrolled in a bachelor degree in "Biology, climate and environment" at the University of Tromsø. 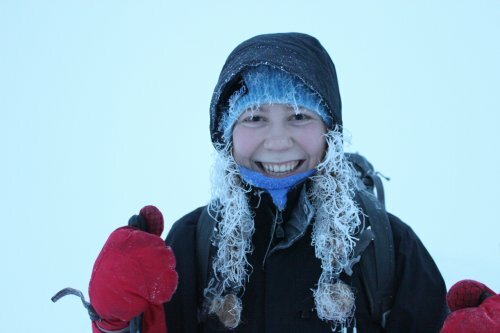 Since July I have been an exchange student at UNIS, taking Terrestrial arctic biology and Arctic population ecology. My field of interests within biology is nature management and terrestrial ecology, especially in the Arctic. Through this internship I want to gain insight into the important work SIOS is doing, and get to know what work tasks the personell within the Knowledge Centre is doing on a daily basis. I am looking forward to gain more work experience, and to get a more practical approach to biology. I expect to meet many new tasks where I will be learning by doing, and develope skills relevant for working as a biologist. Workplaces within biology can be very different, and through this internship I hope to get a glimpse of what a future biology job can include. With guidance from my supervisor Christiane Hübner at the Knowledge Centre, I will work for SIOS in total 32 days, until mid May. I have already attended Polar Night Week where I got a better understanding of what SIOS is, and worked a bit with social media. Further work tasks are among others to plan the SESS report workshop in March, to do web portal development and work with the Nansen Legacy data. I am looking forward to get to know SIOS, its members and the persons working at the Knowledge Centre better!